What do Guns N Roses, Oasis, and Motley Crue have in common? Aside from being rock legends, all three bands found success despite conflicts between members. If your marketing and sales teams clash like Slash and Axl Rose, read on to find ways to perform more harmoniously. After all, Nikki Sixx and the rest of the Crue may have been able to record separately to avoid fistfights, but it’s highly unlikely you’ll be able to do the same. And I definitely can’t, since I’m both marketer and salesman here at Accelity. Marketing Me asks, “Why aren’t you using these great leads to sign new clients?” while Sales Me retorts “If I had better leads, I could gain more clients more easily.” It’s a never-ending conflict that’s about as useful as deciding which instrument is the coolest. The answer to this problem? An SLA. Like a band manager, service level agreements hold each department accountable to their goals while allowing them to coexist in a cooperative environment. Conflict results from misaligned expectations. An SLA anticipates these issues and creates a neutral, stable work environment where everyone can thrive. Hubspot’s State of Inbound 2017 claims “81% of marketers whose companies have an SLA have an effective marketing strategy.” Do you? How do I create an actual SLA? Relax, it’s much easier than getting your garage band a record deal. Hubspot created this blog with everything you’ll need to know and more, from metrics and percentages to staff conversation tips. With SLA in hand, there are just a few things left to make sure you are keeping goals and expectations aligned. One is to establish clear definitions for each lifecycle stage of your organization’s marketing funnel. Predetermining when a lead is considered an MQL or SQL ready for the sales team rather than one that still may need a little more nurturing from the marketing side allows everyone to do their job cohesively. Both teams are playing the same song: if one side misses a beat the whole operation must adjust, regardless of who made the mistake. 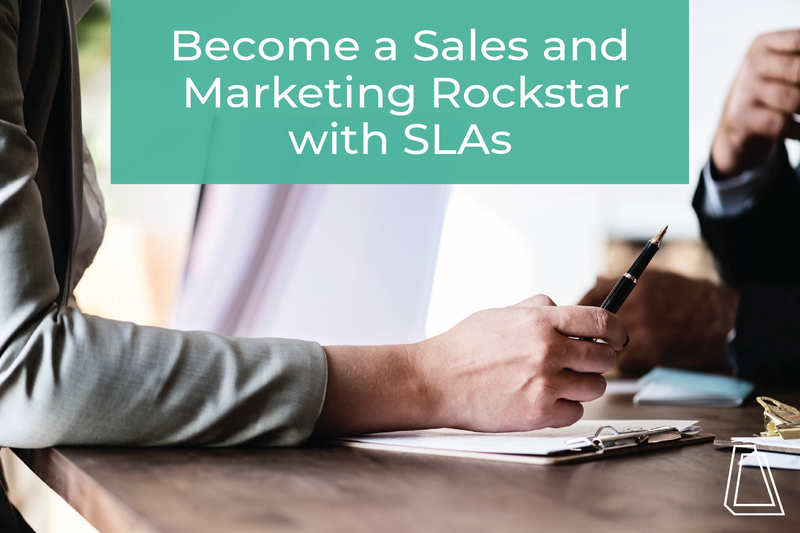 Need help building an SLA to align your sales and marketing teams? Download this service level agreement template to get started. Have any tips or experiences on how your SLA helped your sales and marketing teams? Let me know in the comments below!